COLUMBIA, S.C. – Callison Tighe has received an award of recognition for the law firm’s extraordinary support as an employer of the South Carolina National Guard and military Reserves. The Employer Support of the Guard and Reserve, a Department of Defense program, presented its Pro Patria Award – its highest recognition presented on the state level – to Callison Tighe Member Mike Tighe and Rick Detwiler at an awards luncheon on March 19. The award is presented annually by each ESGR State Committee to one small, one large, and one public sector employer in their state or territory. Recipients have demonstrated the greatest support to Guard and Reserve employees through their leadership and practices, including adopting personnel policies that make it easier for employees to participate in the National Guard and Reserve. 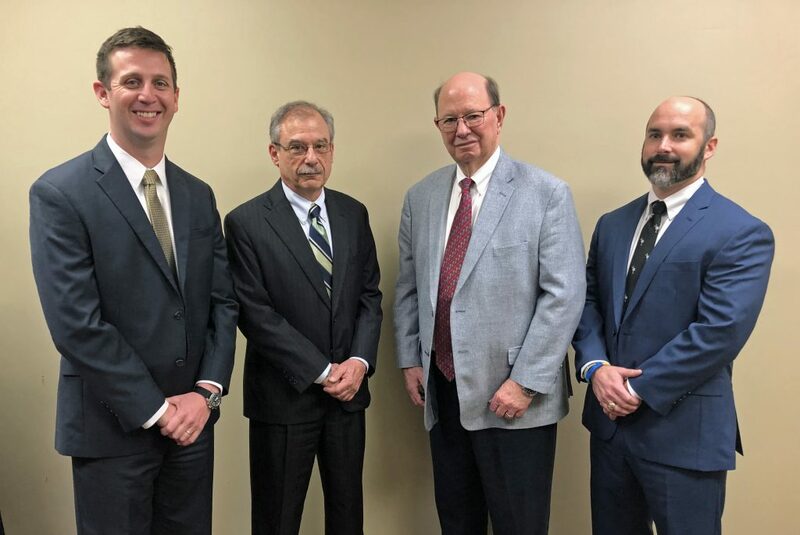 The firm was nominated for the awards by Ian T. Duggan, a Callison Tighe attorney who is a major in the Air Force Reserve and was recently selected for a position as a judge advocate with the South Carolina Air National Guard. ESGR officials said they were deeply impressed by Callison Tighe’s commitment to military service.